Gold. Casually mention the word to a group of investment-minded friends and colleagues and watch as it inspires a visceral reaction, since people either love gold or hate it; there aren’t many who feel ambivalent toward it. Those who love it realize that gold has been the ultimate store of wealth for over 3,000 years, while various paper currencies have come and gone. Those who hate it maintain that gold is an archaic relic, no longer relevant in a world where the majority of business transactions are carried out with a few clicks on a computer keyboard, and money is nothing more than a digital entry on a computer. Or is the antagonism toward gold because they realize that a rising gold price makes them uncomfortable? Subconsciously the disbelievers may sense that a rising gold price is like an economic barometer forewarning of a coming financial storm. Since 1971, when Richard Nixon ended convertibility of the US dollar into gold, various myths and misconceptions have been circulating, influencing people’s opinions and resulting in a number of unfounded myths that have dogged the yellow metal. MYTH: Gold is highly speculative! The importance of holding precious metals in an investment portfolio has been largely forgotten during the equity bull market of the past twenty years. Holding precious metals in a portfolio can provide three distinct benefits: speculative gains, hedging and wealth preservation. However, many investors and their advisors focus only on the speculative aspect and treat gold as if it was an industrial commodity like copper or zinc. Traditional asset allocation theory, as represented by the investment pyramid, advocates higher risk, less liquid assets at the top, with lower risk, more liquid assets at the bottom. Typically, precious metals and commodities are placed at the top of the pyramid, while cash equivalents are at the base. 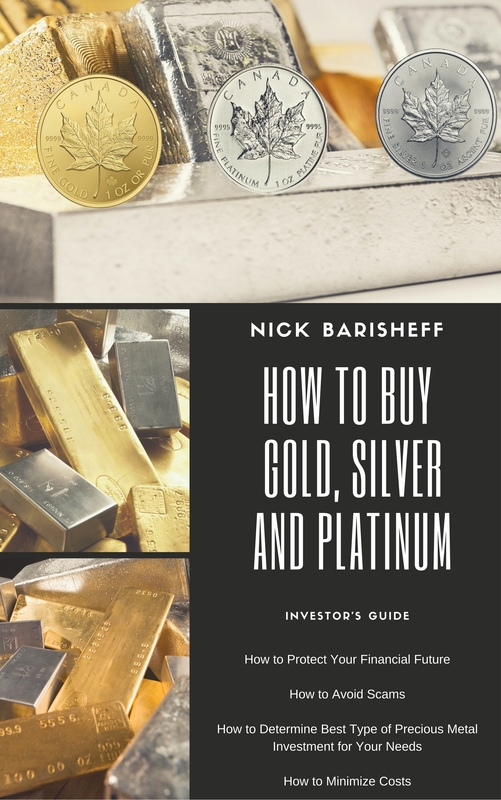 While placing commodity futures contracts, options and exploration junior mining companies at the top of the pyramid is appropriate, fully allocated physical bullion should form the foundation, or base. While futures contracts, options and mining equities can provide leveraged speculative opportunities, they belong in a different asset class along with percentage holdings based on individual investor objectives and risk tolerance. They also carry much higher risks, and have been known to decline to zero. Unallocated bullion, like pool accounts and certificates, can form part of a portfolio’s cash component, but should not form the foundation as they may become illiquid and, in certain circumstances, could lose their value completely. Fully allocated, segregated bullion is not someone else’s promise of performance, nor is it anyone else’s liability. It cannot decline to zero. An effectively diversified portfolio should contain at least five percent in physical bullion held on a fully allocated, segregated basis at all times. This asset allocation model provides effective hedging, benefiting the investor because precious metals have a negative correlation, or inverse relationship, to traditional financial assets like stocks and bonds. Holding bullion reduces portfolio volatility and improves returns during normal market conditions. During periods of economic stress, bullion acts as portfolio insurance, growing in value and effectively offsetting losses in the other asset classes. For added protection in turbulent economic times, bullion allocation should be increased to 10 – 20 percent. MYTH – Central Banks no longer need to hold gold and have sold off their holdings! The Central Bank of Canada has ignored thousands of years of monetary history and bought into the archaic relic view, and has sold off nearly all the gold it held in its foreign exchange reserves. From a peak of 1,023 tonnes in 1965, Canada now holds only 100,000 ounces of gold valued at $45 million. This places it in 77st place, below third-world developing countries such as Bangladesh, Guatemala and Tunisia. This sell off has contributed to an impression within Canada that other central banks are also divesting themselves of gold, but statistics compiled by the World Gold Council show that official global reserve holdings of 36,575 tonnes in 1971 have declined by only 0.4 percent annually to 31,736 tonnes in July, 2004. Gold sales by Canada, Australia, Britain and Switzerland, among others, were offset by gold purchases in France, Germany, Japan, China and Taiwan. Recently Argentina has been buying 10 – 12 tonnes per month to shore up the value of its currency. The Bank of England also accepted the archaic relic label, sold half of its gold reserves at the very bottom of market, and purchased interest-bearing US treasury bills. Since then, the US dollar has lost about 30 percent against the British pound, while gold has increased by approximately 30 percent in British pounds. Gold and silver have successful 3000-year track records as portable stores of wealth, whereas paper money does not. Although the US dollar is considered by many to be the most stable currency, it has lost approximately 80 percent of its purchasing power since gold convertibility was eliminated in 1971. MYTH – Gold is not a good investment! Although fully allocated gold bullion is not an investment per se, its long-term performance has been more than commensurate with risk. Gold’s decline from its 1980 peak is often cited to support the poor investment performance myth but, when measured from a cyclical peak, any investment will take many years to break even. The DOW did not recover to its 1929 high until 1954. By that time, many of its original stocks had completely disappeared and were replaced by alternatives. Fifteen years following the peak of Japan’s NIKKEI, it has only achieved approximately 25 percent of that peak. In fact, on a cumulative basis since 1971, gold has outperformed the DOW. Gold’s rise from $35 per ounce in 1971 to its recent $415 level amounts to a 1,086 percent increase versus the DOW’s 1,046 percent increase from 868 to 9,950 today. In the past four years, gold’s performance has dramatically outperformed that of equities. While gold has increased 63 percent, the DOW has lost 13 percent and the tech-heavy NASDAQ is down 62 percent. As for the future, gold is poised to outperform equities. The DOW:gold ratio has averaged 10:1, peaking at 44:1 in 2000. Today, the ratio has dropped to 24:1 and has decisively broken below the 200-day moving average. A number of respected analysts expect to see a 1:1 DOW:gold ratio, as occurred in 1980 and in 1935. The only question that remains is will the ratio be 1:1 at 6,000, 4,000 or 1,000? MYTH – Precious metals are too volatile! The myth that gold is volatile simply does not stand up to scrutiny. While mining stocks, particularly junior exploration companies, are highly volatile, gold bullion is not. According to a study by the World Gold Council, the volatility of the DOW during the past ten years has been 16.13 percent as compared to 12.55 percent for gold. The volatility of mining stocks, particularly during bull market cycles, can afford tremendous trading profits. It is critical to have either a knowledgeable advisor or to become proficient in technical analysis. Some traders use trading profits to augment their bullion holdings. MYTH – Mining stocks and bullion are equally effective as portfolio hedges! One of the most prevalent misconceptions is that holding gold mining stocks is preferable to owning bullion. However, the decision between gold mining stocks and bullion is not an either/or decision. Each asset has a different place in the investment pyramid, representing different objectives and different risk/reward relationships. Fully allocated bullion is used for long-term wealth preservation because it maintains its purchasing power and also acts as a hedge against economic crises. Mining stocks, precious metals mutual funds, futures contracts and options are used for both speculation and investment during bull market cycles, but are subject to market, management, financial, labour, geopolitical, environmental and hedging risks. Another misconception is that bullion is positively correlated to mining stocks with both rising and falling in unison it is not. In the crash of 1929, Homestake Mining, the largest and oldest gold producer in North America, initially declined with the rest of the equity market, but recovered while equities continued down. Unless investors were both knowledgeable and had staying power during that time, a hedge using mining stocks would have failed. In the crash of 1987, mining stocks declined more than general equities. Bullion, however, maintained a positive position with less than 20 percent volatility. During bull markets, mining stocks initially tend to outperform bullion. However, as the bull market progresses, bullion tends to outperform mining stocks. In the 1970s, Homestake achieved a 900 percent increase, whereas gold more than doubled that level at 2,300 percent. When a rising gold price signals a non-confidence vote in the country’s fiat currency, the flight to its safe haven status can result in dramatic gains. MYTH – Mining stocks are more liquid than bullion! The belief that mining stocks offer superior liquidity over bullion is another popular misconception. Total aboveground gold is estimated at $1.7 trillion. On an average day, a net of $6 billion of physical gold is traded among the members of the London Bullion Market Association in London alone. This does not include gold futures trades on the commodities exchanges, or retail investment purchases, or jewelry. On the other hand, the total market capitalization of all global mining stocks is less than $150 billion. The most liquid and largest gold-producing company in the world is Newmont, with a market capitalization of about USD$20 billion. It trades about $200 million shares per day, representing a turnover of about one percent of its market cap. Even if this turnover rate is applied to all mining stocks it would equate to about $1.5 billion, or one-quarter of the gold bullion traded in London alone. In addition to higher liquidity due to higher market size and higher trading volume, gold bullion is accepted as payment globally, whereas a mining stock certificate would have little if any value in many parts of the world. There is a difference between liquidity and convenience in purchasing the investment. The purchase of physical bullion may be somewhat time-consuming and inconvenient for a retail investor compared to placing a trade for mining stocks. However, as the precious metals bull market progresses, new investment vehicles will come to market that will provide equal convenience for purchasing bullion as is currently available for mining stocks. MYTH – The price of gold and silver has been in decline due to lack of demand! With all the attention on the latest high-tech stocks, the price declines in gold have been attributed to lack of demand. Surprisingly though, gold, has experienced supply deficits for more than a decade amounting to over 22,000 tonnes. How can the price of a commodity decline in the presence of a supply deficit? Basic economics tells us that a supply deficit causes prices to rise, but that hasn’t happened in the case of precious metals. The fanfare that always accompanies central banks sales gives the impression that these sales have made up the deficits. However, net central bank sales only account for a small part of the deficit. The balance of the deficit has been made up through the practice of leasing, creating an artificial supply that acts to suppress prices. Central banks lease out gold to bullion banks at low interest rates. Bullion banks, in turn, lease the gold to mining companies and hedge funds that sell the bullion and invest the proceeds in higher yielding investments. Calling this practice leasing is a major misnomer. 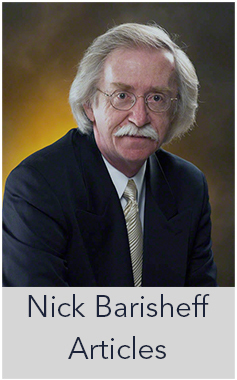 In the case of the mining companies, it is more accurate to refer the practice as covered short selling and in the case of the hedge funds, it should be called naked short selling. In both cases, the artificial supply that suppresses prices will be a major contributor to the coming price increases as these entities are forced to buy bullion at market price to mitigate escalating losses and cover their short positions. Although there is some controversy about the total amount of leased gold, the estimates are between 192 million and 800 million ounces. Any sharp price rise in either metal will have a slingshot effect, caused by a massive short-covering demand that cannot be filled with even several years’ worth of mine production. This will greatly magnify any increased investor demand and put extreme upward pressure on prices. For 3,000 years precious metals have maintained their purchasing power and have been the most liquid, universal form of money throughout the world. Since 1971, both the Canadian and US dollar have lost approximately 80 percent of their purchasing power while gold has enjoyed an increase. In 1971, for example, a new car could be purchased for $3,500 (100 ounces of gold) and a starter house in the suburbs for $35,000 (1,000 ounces of gold). Today, 100 ounces would buy two new cars and 1,000 ounces would buy two houses or an estate in the country. 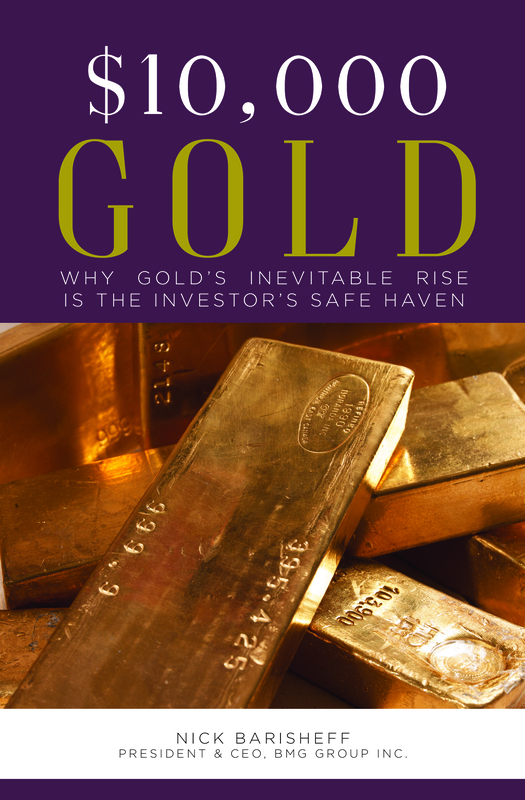 If investors take the time to examine why they have a negative bias towards gold, and can accept that what they believe to be true may be myth or misconception, even the naysayers may realize the important contribution precious metals can make to a portfolio and how they can both increase and preserve their wealth in the coming decade.